CBD stands for cannabidiol, a compound found in weed or marijuana plants that relieves pain, reduces anxiety, helps sleep, etc. The compound CBD (Cannabidiol) is one of 113 identified cannabinoids found in cannabis sativa. One of the main components of marijuana is cannabidiol (CBD) and it is slowly becoming a popular item to treat ailments of all kinds. As more and more places across the United States legalize marijuana and its associated components, we are gaining further awareness of how we can use them beyond getting high. Usage of marijuana is becoming a normal part of life in the United States as it is presented in the media, society, and the economy with decreasing stigma towards those that use the drug. Many celebrities openly say that they use the drug, it is becoming a part of the political debates, and there is even a Netflix show centering around a marijuana dispensary. Among all of this gained popularity are the many emerging studies and research being done on marijuana so that we can understand what it is composed of and how it affects us. Previously, marijuana was illegal in all the states and remains illegal by the federal government. This meant that it was under-researched and not well understood. Many of the things that we associated with it came from anecdotes, hearsay, and misinformation meant to draw people towards it or create false stigma to demonize people who use it. As we begin to understand the drug we can clarify and demystify the drug and its parts so that future generations can make informed decisions concerning marijuana. 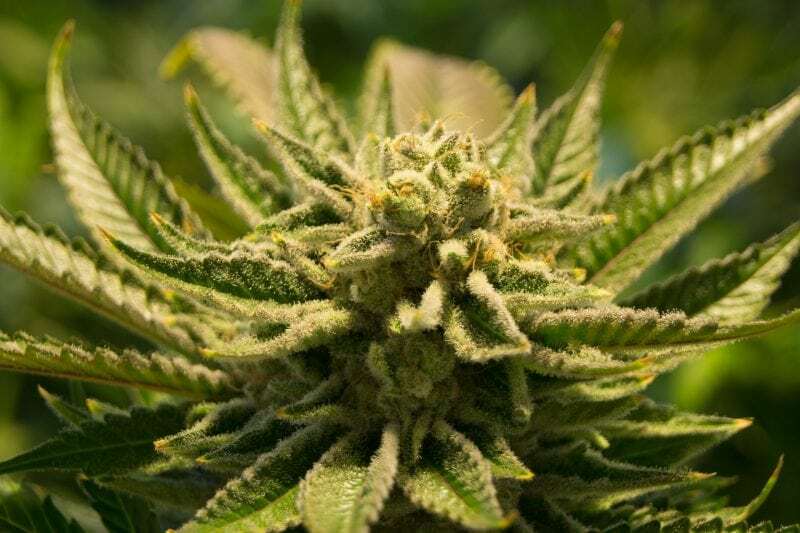 One of the components of marijuana, CBD, is now gaining a lot of attention by researchers and individuals alike because it is the nonpsychoactive component of marijuana and could play a role in alleviating a variety of problems. Over 80 different cannabinoids have been identified in the Cannabis sativa plant (marijuana). Among these many cannabinoids are delta-9-tetrahydrocannabinol (THC), which is the active ingredient in marijuana, and CBD. While THC is the major active component of marijuana and the part that gives marijuana its psychoactive properties, CBD represents 40% of what is in marijuana. As noted previously, CBD is non-psychoactive and does not cause a user to become high or have experiences like someone would if they took marijuana or THC. CBD is thought to have many properties that include being an anticonvulsant, anxiolytic, neuroprotective, antioxidant, analgesic, muscle relaxant, and contains anti-psychotic activity. This is based on the limited research that has been done as the exact mechanism and range of these effects are not well developed yet. Based on existing information, researchers believe that CBD interacts with receptors of this system and can influence them in a variety of ways to showcase the different properties mentioned above. It especially has been found to have high interactions with pain pathways of the spinal cord and brain. CBD can be found in many different forms. There are oils, cold brew coffee, foods, and many other novel vessels for it. They all aim to address some particular concern that you may have. As a result of its popularity, the use of CBD has led to a $200 million industry that continues to grow as demand rises. Given its rise, researchers are now looking into clarifying exactly what CBD can be used to treat. Dr. Esther Blessing, a researcher at New York University, has begun research on CBD and alcohol use disorder (AUD) in patients with PTSD in hopes of understanding CBD’s role in treating addiction and other addictive behaviors. Dr. Blessing also believes that CBD has a strong role in treating anxiety because of the many small-scale research that exists. However, the scope of these studies must be expanded to a larger scale and longer timeline to better understand CBD and anxiety. CBD has been found to have positive effects on treating seizures in children to the point that the Food and Drug Administration (FDA) is being advised to approve a drug, Epidiolex, for such a treatment using pharmaceutical-grade CBD. CBD has also been found to be somewhat effective towards treating particular types of muscle disorders (like dystonia), insomnia, multiple sclerosis, and Parkinson’s disease among many others. In the usage of CBD, it is considered possibly safe when sprayed under the tongue or taken by mouth in adults. Taking up to 300 mg daily by mouth for up to 6 months have been found to be safe. Higher doses can be taken by mouth up to 4 weeks. There have not been any concerns about the drug as of yet. As with any drug, there are some side effects. Those include things like low blood pressure, drowsiness, light-headedness, and dry mouth. There is not enough research to indicate if CBD is safe to take during pregnancy or breastfeeding so that should be avoided until it can be better understood. According to the Food and Drug Administration, CBD is being studied as a new drug. This result of this is that products with CBD can no longer be considered dietary supplements. Despite this, there are still CBD products labeled as such. Right now, the vast majority of CBD products being marketed are dietary supplements. The problem with this is dietary supplements are not all the same and can contain different concentrations of CBD. This variability makes it difficult to study and be effective. For instance, the research being done by Dr. Blessing avoids dietary supplements because they need a specific amount of CBD and dietary supplements are too varied for that purpose. Getting a consistent product across the industry will allow researchers and consumers to acquire something that is consistent, reliable, and might be effective against their ailments. This is all dependent on when or if marijuana and CBD become legal because it will make it easier to study and acquire. As more studies showcase that CBD can have beneficial effects on the human body, especially in treating diseases, there is more a push towards changing the federal and state laws that deny consumers a chance towards a potential recovery.